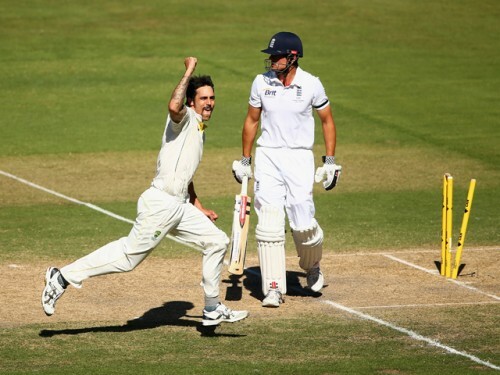 Australia’s Mitchell Johnson is special because he brought back the concept of fearsome fast bowlers to the game. On pitches which are no longer as pacer-friendly as they used to be, he had the ability to make batsmen jump around in discomfort. He is one of the rare fast bowlers in the present generation who has given bruises and wounds galore to the batsmen. At his best, Johnson transported you back to times of uncovered pitches and ravaging fast bowlers making batsmen dance to their tune. He made the 2013 Ashes series his own with a brand of aggressive and pacy bowling, which reminded one of legends like Lillee and Thomson who had the same kind of impact on opposition batsmen. If he had been a little more consistent during his early years, Johnson could have been one of the best that the game has seen. But when it comes to the most fearsome ones, he is still right up there with the best. The 6 foot 8 inches tall giant from Barbados, Curtly Ambrose, was the final flag-bearer of the West Indies fast bowling legacy. But he was also among the best that the island nation ever produced. What makes him even more fearsome is the fact that he terrorised batsman on flat batting surfaces as well. 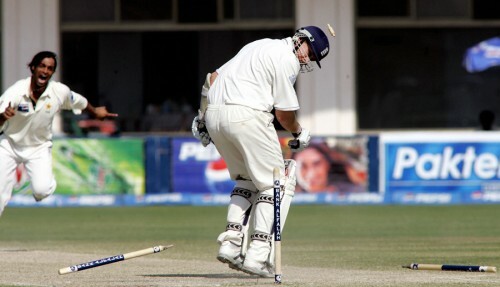 The steep bounce that he generated off the pitch was his greatest weapon; however, the occasional full ball was also good enough to remove all three stumps at one go. Ambrose formed a partnership of legendary proportions with the other West Indian great of his era, Courtney Walsh and together, they proved to be a handful for the strongest of oppositions. Apart from being terrifying, the towering fast bowler was also very miserly with the ball in hand and bowled some highly economical spells in his career such as the unbelievable 7 for 1 that he took against Australia. The retirement of Ambrose brought an end to the emergence of fearsome fast bowlers from West Indies. The Rawalpindi Express Shoaib Akhtar managed to derail many a batsman with his brutal pace throughout a controversial career. The Pakistani pacer, whose run up began from almost close to the boundary line, seemed to win half the battle against the batsman by merely his approach to the crease. Let alone the thunderbolts that came out of his hand once the ball was delivered! The lightning fast Akhtar made the entire cricketing world stand up and take notice when he blew away Indias greatest batting stalwarts Sachin Tendulkar and Rahul Dravid with back-to-back yorkers in a Test match played at the Eden Gardens. That was just the beginning of a phase of tormenting batsmen from all over the world with displays of deadly fast bowling at a never seen before pace. Even though Shoaib Akhtars quest for pace eventually led to his downfall and fading away, it was his golden phase which is best remembered by cricket enthusiasts all over the world. While some of the most fearsome pacers of all time are known to aim at the heads of batsmen, Waqar Younis was one who was always on the lookout for damaging their toes. 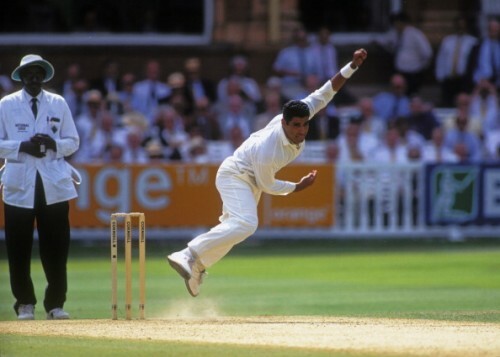 Considered to be the best exponent of the yorker that the game has ever seen, Waqar had made it a habit of uprooting the stumps of batsmen almost at will. Batsmen of his era were so scared of getting injured by his yorkers that they were at times found guilty of allowing the ball to hit the stumps rather than hurting themselves. However, it is not that he did not bowl great bouncers; one of his memorable ones hit a 16-year old Sachin Tendulkar on the face. Younis was the complete package as a fast bowler and formed a legendary combination with an equally great Pakistani pacer, perhaps even better, Wasim Akram. Together, they are known to be arguably the greatest fast bowling pair in the history of cricket. In terms of statistics, too, Waqar Younis is one of the best fast bowlers to have graced the game but the fear that he generated among batsmen is something he will always be remembered for. 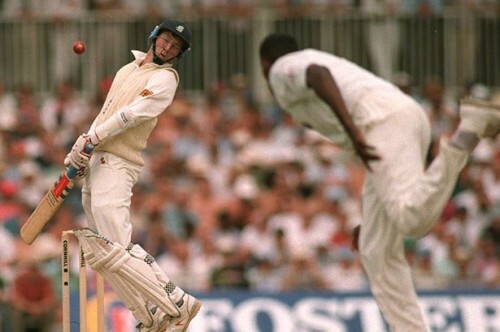 For the batsman who played during his era, South Africa’s Allan Donald was the true definition of fear. Even as he reached halfway in his brisk run-up, most of the batsmen would already be feeling the shivering of legs and a chill going down their spine. Such was the horror of facing Donald in his prime. He had everything that you wanted from an express bowler - brutal pace, intimidating aggression and lots of heavy artillery in terms of the deliveries he bowled. He was one of the last among the fearsome breed of fast bowlers who had an incredibly consistent record in all formats of the game that he played. His average in both Tests as well as ODIs is in the low 20s, which is a testimony to the fact that he is a legend of the game even when it comes to stats. Barring the final phase of his career when his pace fell down considerably due to injuries, Donald was always among the most dreaded pace bowlers to have played the game. Dennis Lillee’s partner-in-crime Jeff Thomson is considered to be one among the fastest bowlers of all time. His slinging action, which was quite unusual for his time, and hostile approach made him a strong force to reckon with for the batsmen. At his best, Thomson was absolutely lightning fast and caused trouble to the best of batsmen from around the world. 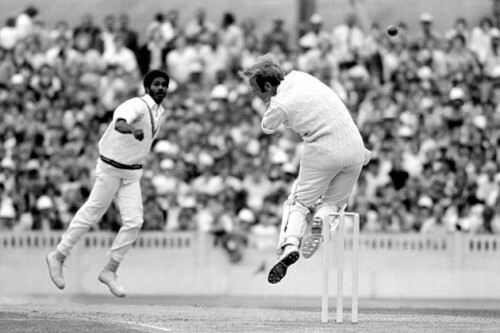 In the 1974-75 Ashes series, he along with Dennis Lillee left the England batsmen gasping for breath as they delivered relentless spells of quick and dangerous fast bowling. Thomson was unable to match his initial pace in the years that followed due to a grave shoulder injury which he suffered due to his strong action. However, his very presence in the Australian team in the final few years of his career was at times enough for them to gain a psychological edge over the opposition, due to his past exploits. 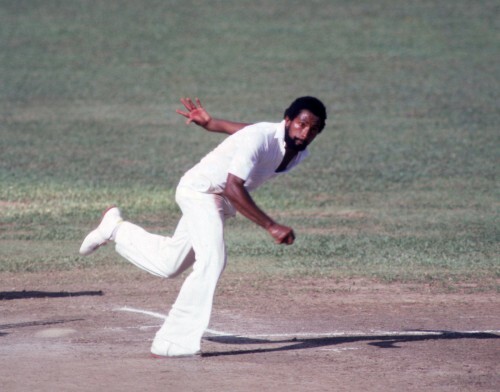 Andy Roberts is one of the scariest fast bowlers to have set foot on a cricket field. Such was the West Indians fast bowling prowess that he had floored many a batsman in his time. He derived his pace from the extremely powerful pair of shoulders that he possessed and he is also among the best exponents of the bouncer. However, he did not depend on his pace alone; he also had a shrewd head upon his shoulders. He was one of the first few bowlers in the cricketing world who used the slower delivery to great effect in Test matches as he fooled batsmen who mostly expected a bullet coming out of his hand. Towards the fag end of his career though, his pace fell off drastically and he was left to rely on the movement he derived off the pitch. But he will always be remembered for being part of an exclusive league of deadly fast bowlers. 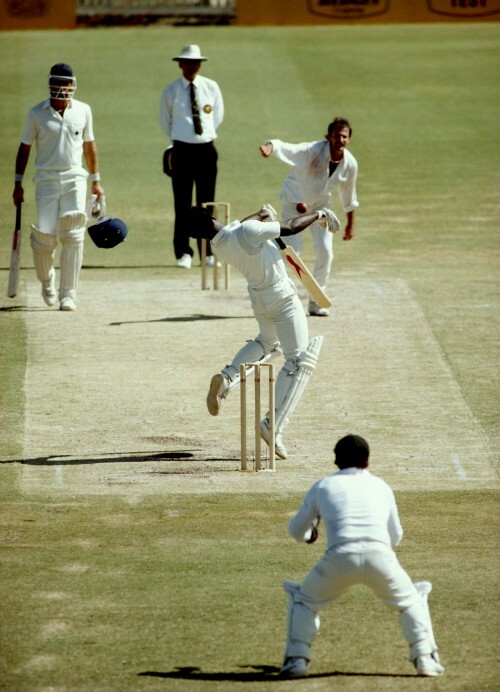 West Indies fast bowling great Michael Holding is not known as ‘Whispering Death’ for nothing. Had there been speed guns in place in those days, Holding would have surely been pacier than any of the fastest bowlers in the present generation or even the one before that. Even the greatest of batsmen have acknowledged how difficult it was to face the towering Jamaican pacer. Among the large population of great fast bowlers who have represented the West Indies, Holding stands out in his own way. It is said that even the deadest of pitches were brought to life by the sheer pace of this legend. And the best part is that he did not require any sledging to intimidate the opposition; he did it with his fast and deadly accurate bowling which made most batsmen of his era hop, skip and jump – all at the same time. 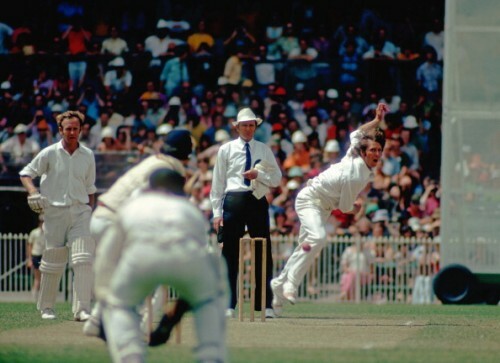 Australia’s Dennis Lillee is one of the most devastating bowlers cricket has ever seen. His raw and aggressive brand of genuine fast bowling made him an icon not only for fans from his own country but from all over the cricketing globe. He notched up his fear factor further with his famous handlebar moustache and a headband which he wore for a large part of his career. He and his equally efficient partner Jeff Thomson were always busy pushing the speed limits as they tore apart many a batting line-up with their incredible pace. England were probably the greatest victims of Lillee’s fury as he tormented them in almost every Ashes series and claimed close to half of his career scalps against the arch-rivals. In a 13-year career, Lillee took as many as 355 wickets while having played only 70 Tests and his average was an outstanding 23.92 with 23 five-wicket hauls against his name. But more than anything else, it was the terror he incited that made him the legend that he is today. 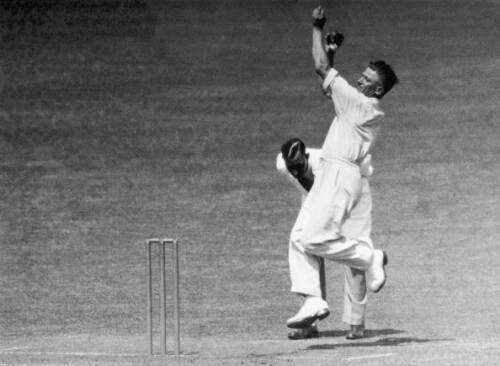 The chief antagonist of the Bodyline series, Harold Larwood, can be considered as one of the pioneers of fearsome fast bowling. Although he was among the most hated cricketers of his time, there is no doubt about the impact that he had on the minds of batsman, as most of them were known to shiver at the sheer mention of his name. During the most infamous Ashes series in which Larwood gained prominence, he became responsible for ending the careers of at least two Australian batsmen and left some of the others badly battered and bruised. He made even the legendary Sir Donald Bradman look ordinary in the forgettable series as he dismissed him in 4 innings. Harold Larwood’s tally in 4 Tests of the Bodyline series was a staggering 33 in addition to the injuries that he caused to the Aussie batsmen. Despite such impressive stats, he did not get another chance to represent his country due to the fact that he refused to apologize for his implementation of the Bodyline tactics, as he claimed to be following the captain’s orders. 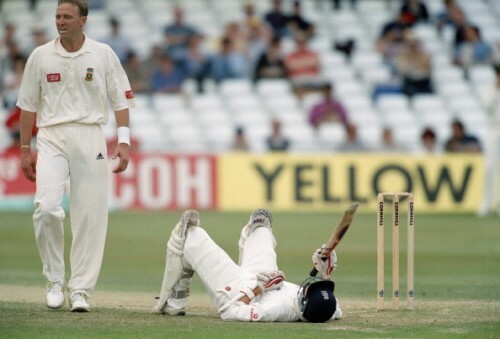 But you can very well imagine the plight of the batsmen who would have faced him, had he been allowed to play on.